Whether you have a house, apartment, or office space with a kitchen, none is complete without a sink. 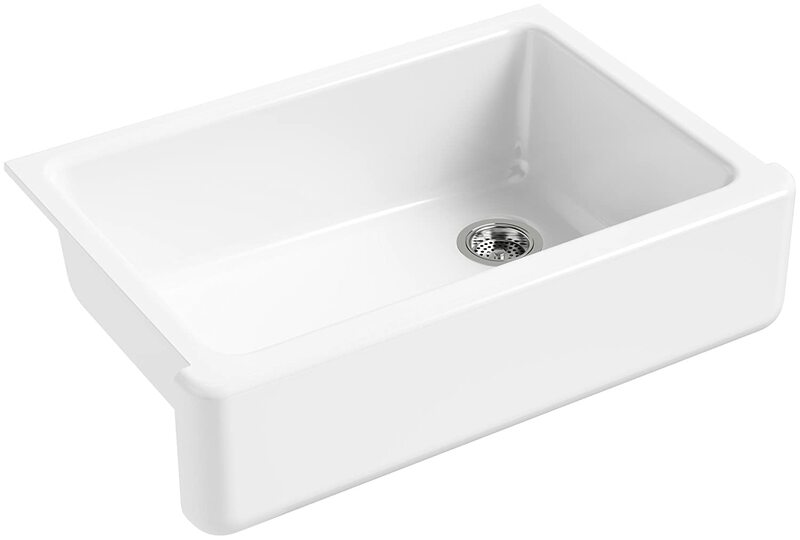 Perhaps you’re looking for a cost-effective sink with premium materials and don’t know where to start. Well in this guide we’ll help inform you of one of your best options by reviewing Kohler kitchen sinks. So, continue reading and see if this sink meets your functional expectations and design preferences! Kohler is a manufacturing company founded in 1873 and boasts over 100 years of providing high-quality support services and top of the line products to their customers. The company is known for their kitchen products but have also produced everything from plumbing materials, home and office furniture, engines and tiles, to generators. With such a wide breadth of products, they still manage to excel where other companies fail by providing products that are durable minus the high price tag competitors try and slap on for home necessities. One thing that makes Kohler special is the wide selection of sinks they provide. Professional: Kohler’s professional sinks give your kitchen the appearance, efficiency, and performance that professional cooks can use and enjoy. These task centers are organized, centralized and stylish, thus making it easier for users to operate and reduce steps on the kitchen floor when prepping or cleaning up after a meal. Precision Design: Crafted with original designs composed of striking finishes and colors, Kohler sinks are great additions to your home entertainment room, family room, or anywhere you can entertain your guests. 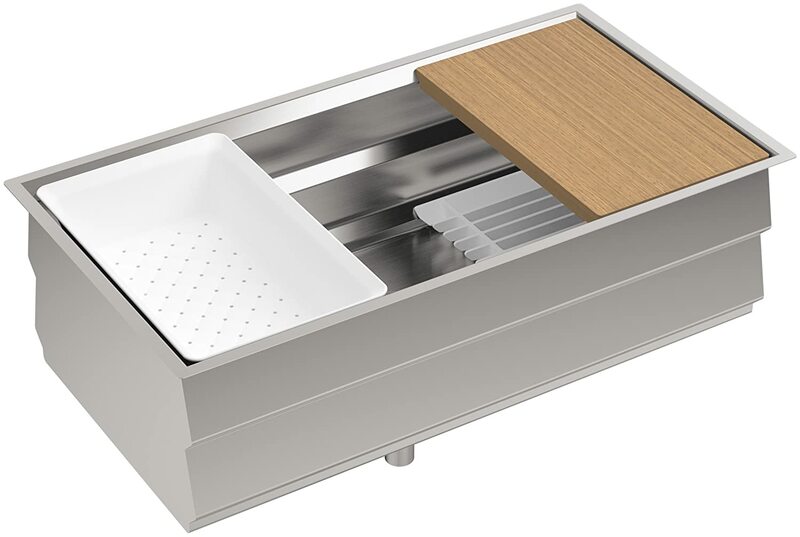 Utility Sinks: Kohler’s utility sinks come in convenient styles and shapes that can fit in any home aesthetic with solid finishes that make them last through multiple years of reliable service. Whether it is your workshop, dog washing station, or your laundry room, Kohler’s utility sinks will help make your dirty work easier. These are the most common sinks that you’ll notice when shopping for Kohler sinks. Each of them is crafted to near perfection, designed to reduce dish clutter, and is a great addition to your kitchen. So what makes Kohler a reputable brand? There are so many factors tied to this company that explain why their products are well received by their customers. Here are some of the aspects and reasons why. With modern, innovative designs that have price points that are affordable for every budget, Kohler aims to change the way the world views kitchen sinks. Whether it’s a sturdy bridge design or a modern gooseneck design, Kohler has the right sink with the correct finish for you. 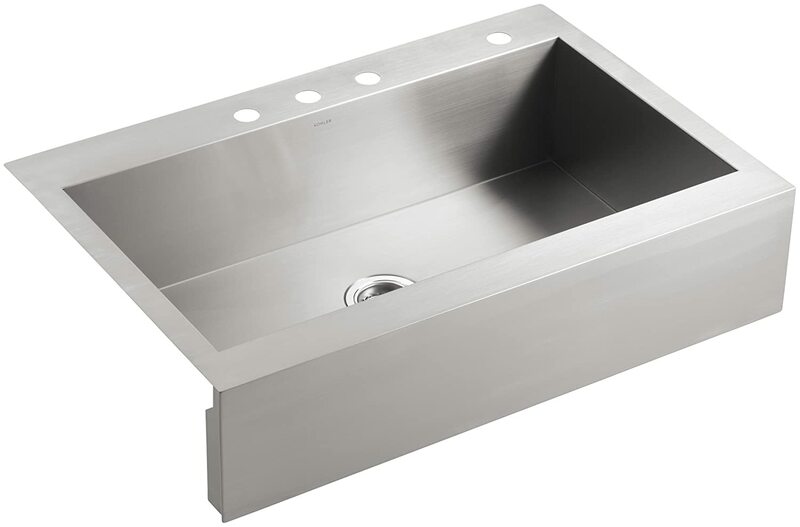 The second reason why you should obtain a Kohler kitchen sink is due to their budget friendliness. Kohler sinks have the same quality as other brands that are currently available, but you don’t have to burn a hole in your pocket in order to get them. Because of this, you get the opportunity to have a sink in your kitchen that won’t crack and fail without having to dip too deeply into your general decor budget. Kohler sinks are also easy to install. All you need is a few tools and using the proper mounting hardware, and you’ll have a newly installed sink. Whether you have a single mount model or a dual-sided sink, it won’t take long to get this chore done. Unlike their competition, Kohler has a wide range of spare parts that are easy to obtain. Each Kohler product has a lifetime warranty due to the faith they have in the craftsmanship of their sinks. 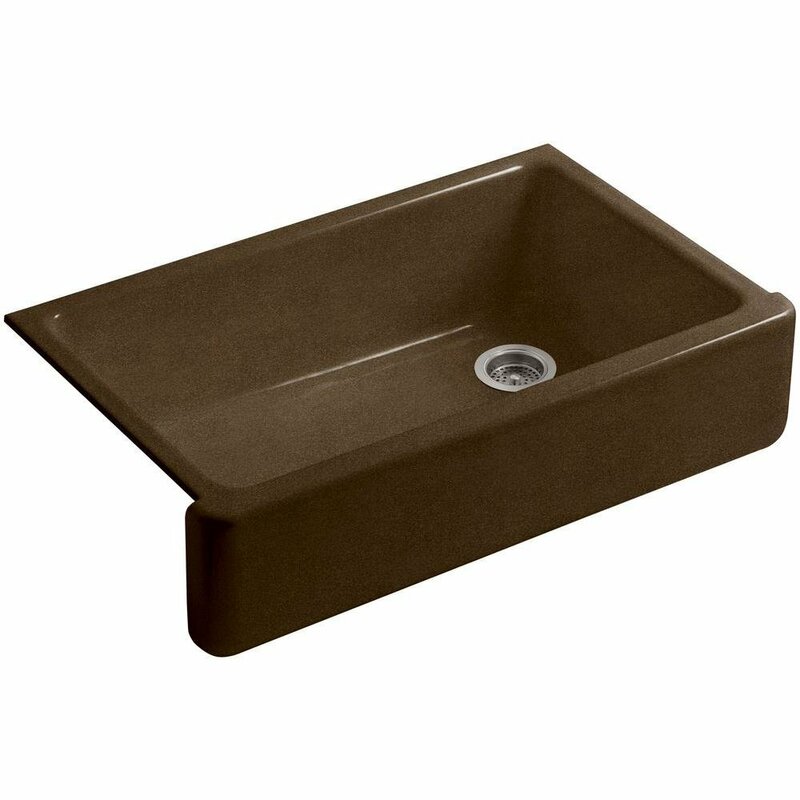 Sometimes sinks break due to water build up, lack of maintenance or forceful accidents. You can quickly, easily, and effectively secure a replacement within days or and get it back to full form. Finding the right kitchen sink for your home depends on the structure of your sink. If you have a deep sink basin, then you’ll want to have a low profile faucet because the high arc will lead to water splashing back at you. Do I need a single mount system? What features do I require for my new faucet? Where do I want the controls to be located? Kohler has created some of the most innovative kitchen faucets that can fit in the home of the occasional entertainer looking for something that can handle moderate use, or the pro-chef prepping and cooking frequently alike. Three types of sinks are available, each with a specific installation process: top mount, apron front, and undermount. Check out your kitchen cabinet size to determine the sink type that will work the best for your cabinet configuration. Knowing what type of sink you want for your kitchen is half the battle. By understanding the differences, you’ll find it easier to find a sink that fits with the design of your kitchen. With so many kitchen sink styles available, you have to consider the size of the kitchen and how the sink will be utilized. For example, large multi-basin models which are gaining in popularity won’t do well in small kitchens. You have to specify the number of holes in your sink deck. This number ranges from 1 to 5, depending on the number of accessories such as soap dispensers and spray hoses you’ll add. Make sure that you have a sink strainer that matches the color of the sink. Those designed for cast-iron sinks don’t have the same length as stainless steel sinks. To conclude, Kohler kitchen sinks are great for all sorts of homes. Whether its a vintage style or a modern look you’re aiming for, Kohler has a wide range of sinks available to suit your needs. So make sure you try their sinks out as you will not be disappointed!